Little bit delayed, but better late than never. 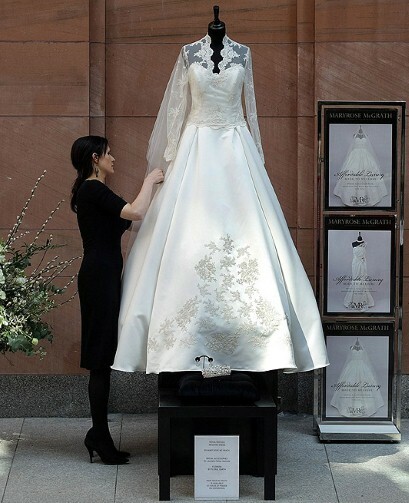 As rightly predicted by all, it was Sarah Burton who made Kate Middleton's (or rather, Catherine, Duchess of York) dress for her wedding day. And what a dress it was. 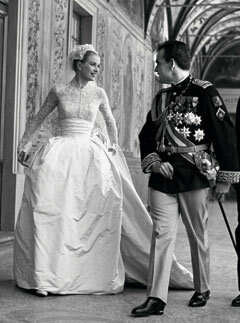 The gown itself echoed the Princess of Monaco, Grace Kelly’s wedding dress, although made different with a V neckline with the bespoke lace appliqué from McQueen. The skirt resembles an opening flower made with white satin gazar arches and pleats, not forgetting the trademark royal train which was made with ivory and white satin gazar, spanning over 8ft. 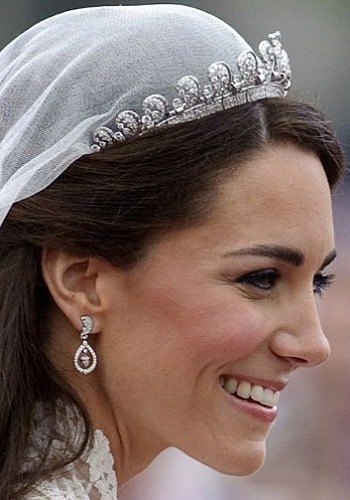 Kate's 'Something Borrowed' was a Cartier Halo Tiara, lent to her by The Queen. The tiara was a gift to the late Queen Mother, who was bought it in 1936 as a wedding gift from her husband-to-be. It was then passed down to Elizabeth (now Queenie) for her 18th birthday. Copies are flocking the market, check out this one in store at House of Fraser in Belfast for £350. Hoorah, I love a good wedding, Thought the dress lovely, tastful, but a bit safe. P.s. which hat did you like the best?